Domain name registrar GoDaddy is reaching into the realm of small business communications with a proposed acquisition of FreedomVoice, a cloud-based telecommunications provider, announced Tuesday. The deal will cost GoDaddy $42 million in cash plus up to $5 million in potential future payments. In return, the company benefits from the talents of the FreedomVoice team and its suite of cloud-based communications products. With more than 210 million small businesses across the globe, the large majority of which depend on mobile and desktop phones for communication, GoDaddy positions itself to provide another essential service — voice communications — to its range of digital presence products that includes domain name registration, websites, hosting and online marketing. 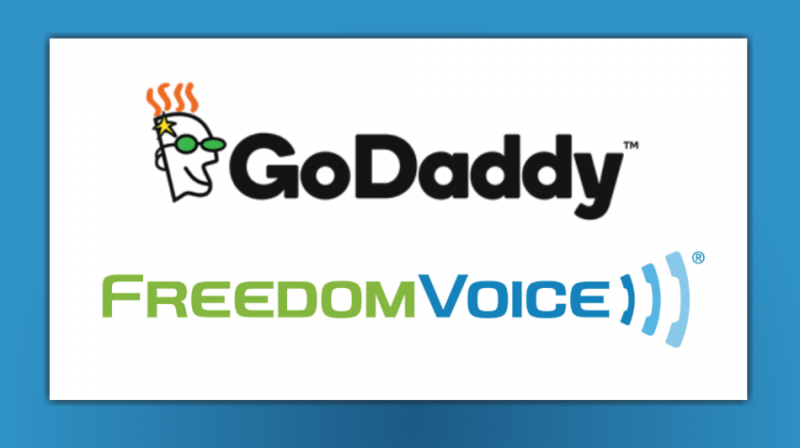 GoDaddy says FreedomVoice’s product suite is designed specifically for small businesses. Features the company touts include a custom cloud number — like a local or toll free business number — that automatically routes business-related calls to a user’s mobile phone. There is also a cloud-based phone system that delivers enterprise-quality VoIP for smaller companies. GoDaddy has positioned itself as a provider of a large number of small business solutions. The new service, when added to the company’s portfolio, will allow GoDaddy to offer a small business phone service competitive with Nextiva and Grasshopper, now owned by Citrix. Thomas will join GoDaddy as Telephony Revenue and Integration Officer. GoDaddy recently created a new telephony business unit to oversee its communication products strategy and execution, including the FreedomVoice product suite, according to the announcement. FreedomVoice products will continue to be available online and through partners. Barring any issues with the acquisition, GoDaddy and FreedomVoice plan to deliver new cloud-based voice products together in the near future. PREVIOUS POST Previous post: This App Claims to Turn Your Phone into a Tiny Scanner but Does it Measure Up?